Hyatt Place Hotel, 4520 Paradise Road, located opposite the University of Nevada. 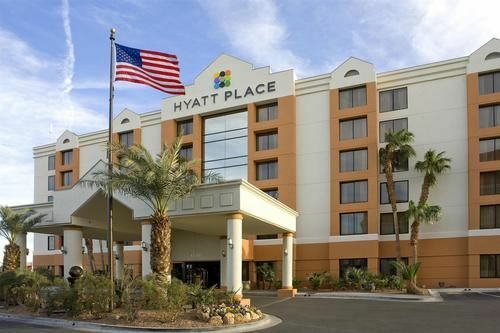 Hyatt Place Las Vegas, is a three-star hotel, which sits opposite the University of Nevada, providing guests with a good range of amenities, access to all the delights of Sin City and well-equipped rooms. 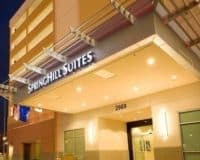 All of this and more makes it a great choice for your Las Vegas holiday: close enough to the action that you can have fun, but not so close that you bring it back to your hotel with you. The hotel’s pride and joy, is a top-of-the-range fitness center, which boasts some of the most modern equipment that you can find in Vegas. This combines with a twenty-four-hour front desk, courtesy breakfast, free parking and WIFI that can be easily accessed throughout the property. The pet-friendly and family-friendly rooms are spacious and contain the hotel’s signature luxury beds. Alongside clean and modern bathrooms, a lounge space that can also double as an extra bed for families and much, much more. 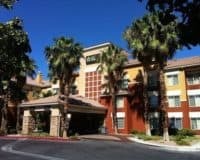 This makes the Hyatt Place Hotel in Las Vegas is ideal for anyone visiting Vegas, who doesn’t want to be in the very heart of the action: it is comfortable and affordable. While the friendly staff will do anything, they can to make your stay as happy as possible. 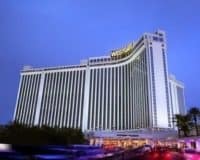 It is particularly good for families and the rooms are a great Vegas option for anyone with kids. Within a 15-minute walk of University of Nevada-Las Vegas and Thomas and Mack Center. Within 3 mi (5 km). of the Las Vegas Convention Center and Fashion Show Mall.